Great price! $155 SF....one of the lowest priced per SF in Heathrow! This is a beautiful custom home with a pool & spa and has no back yard neighbors! This is the perfect home for someone needing two larger secondary bedrooms each with their own bath, one in-suite! VERY WELL MAINTAINED HOME! The home has had many improvements since 2014: NEW ROOF!! ; full attic insulation; new Master board for pool, new pump, and new vacuum; new wiring inside and out for high speed internet; water conservation system with rain sensor; entire inside repainted; new light fixtures in all bathrooms, dining room, 2 secondary bedrooms. 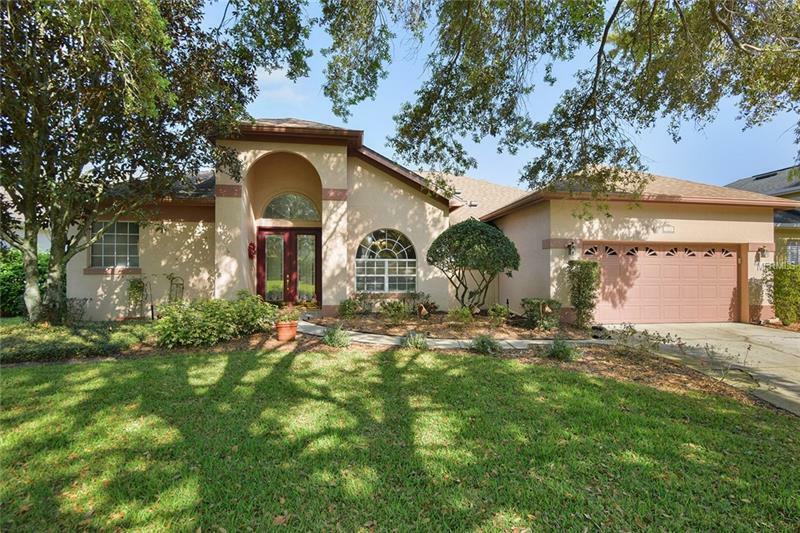 This home features an AC & heated Florida Room/Bonus Room that overlooks the pool which can be used as a home office, craft room, guest bedroom, play room, or lanai area. Stylish, wide plank wood-look laminate flooring has recently been installed in the L.R., D.R., and Family Room! Additional laminate is still available for purchase for adjoining rooms if preferred! The home features a spacious Master Bedroom Suite off the foyer with a sitting area that serves as an office, and his and her closets. The Master Bath features a soaking tub, walk-in shower, and a vanity with double sinks. The formal dining room is large enough for a table for 10! The kitchen features oak cabinets, stainless appliances, and granite counters. The family room features a gas fireplace. The laundry room as a full-size stackable washer & dryer. Excellent value!